Any Rockville MD real estate title Company will tell you to take cover of title insurance in any real estate transaction. The title insurance is the safety ring not only for buyers but also for lenders and is an essential component of real estate transaction. It is true that the real estate title company that advises you on real estate transaction will take complete responsibility to do a thorough title search and tax search to certify that the title is not only correct but free from all encumbrances prior to proceeding for making payments. But knowing that nothing can be foolproof it is advisable to be safe than sorry, and this is the reason why title insurance is necessary. A title insurance policy is a document that indemnifies the buyer of a property (including lenders) from any eventual shortcoming or defect in the title of the property that can be deprecate its value and can be a cause for loss and inconvenience to the policy holder. 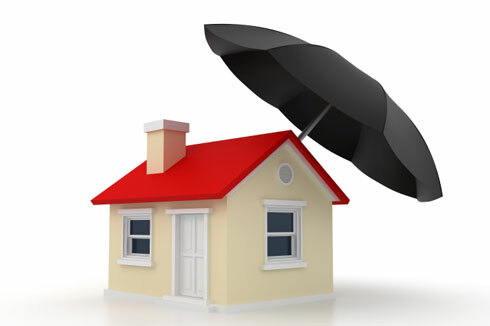 The policy falls short of describing the state of the property and its condition but the policy holder is insured against losses that will be compensated within the scope of the policy if any defect is found in the title. In simple words, the insurance company takes the responsibility of defending your title and even pay for loss arising from the defect in title as per terms and conditions of the policy. What would happen if a defect in title of the property is detected after closure? There is no specified time limit for the indemnification cover of the policy. So, the policy holder is entitled to receive payment up to the maximum limit of the policy value should any post closure defect is found out. The usefulness of title insurance thus makes it almost mandatory for title companies to enforce it on buyers and likewise, lenders who fund the property on behalf of the buyer would also insist for it. Why Lenders Rely on Title Insurance? When any lender approves a mortgage, it wants to be very sure that the title of the property will vest on the buyer. Their instructions related to record the lien comes within the policy coverage vouching the validity and enforceability of the security document. Since lender’s policy and buyer’s policy are both identical in its security coverage, the buyer can refrain from taking a policy if the lender’s policy is issued against the same property. If there are any forged instruments in the title chain. Errors are made by recording agencies that might have been overlooked earlier. Any likely clerical errors in public documents. Claims that might be outstanding. Inheritance issues that are unsettled or missing names of heirs. Fraudulent indexing, recording or filing of legal instruments that might have occurred earlier. Discrepancies in marital status of document signatories. The money you spend on title insurance is just too little compared to the peace of mind that it gives.